On many occasions family and friends put us under pressure to find greener pastures abroad. 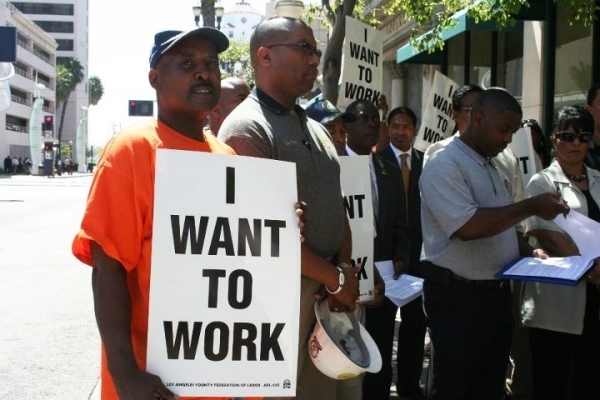 They believe developed countries have got not only the mouthwatering salaries but also the ideal working conditions for any hustler. Many people sell all they have to board a plane in search of work abroad. Not many of them are aware of what they are putting themselves into. Sometime back I had a conversation with Norah Nakaggwa (not real name), a friend who lives and works in Massachusetts, USA. I wanted to know from her whether the stories we hear from hustlers abroad were true. Nakaggwa told me that the biggest challenge we have is that many Ugandan are dishonest – they don’t tell us the truth. They tell us how simple the processes are there when they are actually difficult. Many job applicants sleep not knowing what tomorrow might bring. “What people don’t tell you is that when you get here, you never settle. You make illegal movements not knowing where you will spend the night moreover on an empty stomach. People urge others to come make money but they don’t highlight what you go through. You find an old fella breaking his back to survive because there is no way he will receive pension since he is not an American citizen,” Nakaggwa told me. “It is always good to have someone here. My first host, when she arrived in the US, she slept outside and on boards. She lived her early days here running from the law because she did not want to be deported. I was lucky to have someone to host me. Here we work using different identities and save in different accounts. I report to work as Bosco and save money as Patience,” Nakaggwa added. Saving money on another person’s account implies that you have to share your earnings with them at agreed fractions since they are the ones who receive money on your behalf because, as an illegal immigrant, you hold no bank account. Resty (not real names), another friend of mine now living in Turkey, said that many times black people are discriminated against when it comes to salary payment. “Blacks are paid less compared for example to the Philippines, even when they do the same jobs. In the places where I have worked the highest amount paid to a Ugandan is USD 800 which is not the case with other races,” Resty told me. Hassan Lukwago, a Ugandan based in the United Arab Emirates (UAE) shares a single room with several others, men and women, including two couples – all Ugandans. Their privacy is secured with curtains between deckers. “I passed through a lot before coming here and right now I share room with ladies. Guys are searching for jobs but all in vain. Many guys are sleeping on verandahs. I am at floor six but all corridors are full of job seekers. Girls get married after their visas expire. Many girls either end up in prostitution or unwilling marriages for food and shelter,” Lukwago told me. “In places where we search for jobs there is a lot of racial segregation. Some people are brought and dumped here by their agents. Imagine leaving you somewhere you don’t know with no familiar face and penniless. People spend more than a year fighting to get employed somewhere and you find a relative in Uganda jubilating because a relative is working abroad,” Lukwago added. When you listen to such testimonies, and you are in Uganda, you need to think about two major questions: 1) Are you really ready to face the uncertainty of kyeeyo? 2) Should you really be angry that your relative abroad is not sending you any remittances? I think the best thing we should do now is inspire each other, fight injustices of all forms, and create opportunities for Ugandans to meaningfully work and live happily in their country.